When you look in the mirror, are you dissatisfied with the dark, discolored appearance of your teeth? If so, you have probably dreamed about getting a beautiful Hollywood smile. While it is often a center of envy, celebrities can go to extremes to achieve the results you see. Behind the bright, vivid smiles are often damaged teeth from overbleaching, commonly referred to as Bleachorexia. Although you may want to get the picture-perfect smile, there is a right way to go about getting it. Teeth whitening at Horsham Dental Elements illuminates your smile. 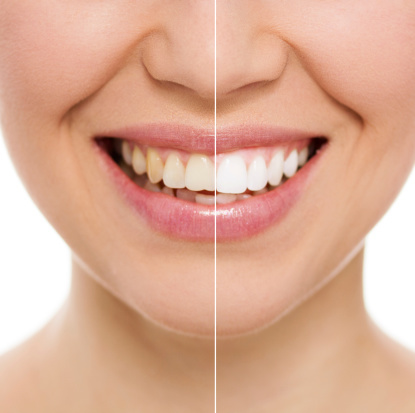 Find excellent teeth whitening treatments in Horsham, PA. Dr. Gary Henkel and his professional team deliver periodontal, cosmetic and restorative services for the whole family in a comfortable, compassionate atmosphere at Horsham Dental Elements. Brighten your smile with professional, at-home teeth whitening in Horsham. No one likes a dull, dingy smile–especially the person who has one! Dr. Gary Henkel and the team at Horsham Dental understand, and they can help you get a dazzling set of teeth right in the comfort of your own home. Professional teeth whitening is the answer. Comments Off on Teeth whitening at Horsham Dental Elements illuminates your smile.